Gholson Funeral Home recently issued the following announcement. 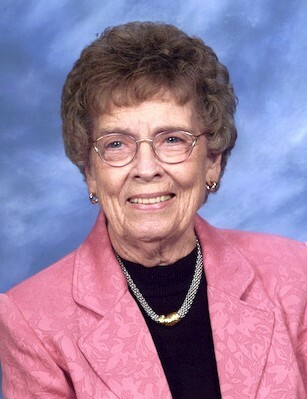 Mrs. Dorothy Mae (Cook) Cox, 90, passed away Wednesday, April 10, 2019 at the Hamilton Memorial Rehabilitation and Health Care Center. She was born August 27, 1928 near Dale, IL, the daughter of Virgil Smith and Felsia (Miller) Cook. On November 19, 1946 she married Willie Earl Cox in Dixon, Kentucky. They farmed together for many years. They were married for 45 years until Willie passed away in 1992. Mrs. Cox was a lifetime member of the VFW Auxiliary and DAV Auxiliary as well a member of Blooming Grove Baptist Church near McLeansboro. She also worked in the office of Dr. Rodger Jenkins in McLeansboro for 30 years. She enjoyed flowers, hummingbirds, westerns, working jigsaw puzzles and spending time with her family. Mrs. Cox is survived by her son, Robert (JoAnn) Cox of McLeansboro; daughter, Denise (Bill) Barker of McLeansboro; daughter-in-law, Nancy Cox of McLeansboro; grandson, Christopher (Tiffany) Cox of McLeansboro; three granddaughters: Chrystal (David) Gage of Dahlgren, Holly (Patrick) Windhorst of Metropolis and Brianna (Joshua) Wiggins of Dahlgren; seven great-grandchildren: Wyatt, Evie, Lucy, Wesley, Lydia, Leo and Jesse; brother-in-law, Henry Cox of Dahlgren; two cousins, JoAnn McDaniel of Mt. Vernon and Doris Craig of Olney; and several nieces and nephews. She was preceded in death by her husband Willie, son Kenneth, brother and sister-in-law and parents. Funeral services for Dorothy Cox will be held Saturday, April 13, 2019 at 2:00 p.m. at the Blooming Grove Baptist Church with the Revs. Gary Davenport and Bill Miller officiating. Visitation will be Saturday, April 13 from 11:00 a.m. until the time of service at the Blooming Grove Baptist Church. She will be laid to rest at the Blooming Grove Cemetery following the funeral service. Want to get notified whenever we write about Gholson Funeral Home ? Next time we write about Gholson Funeral Home, we'll email you a link to the story. You may edit your settings or unsubscribe at any time.